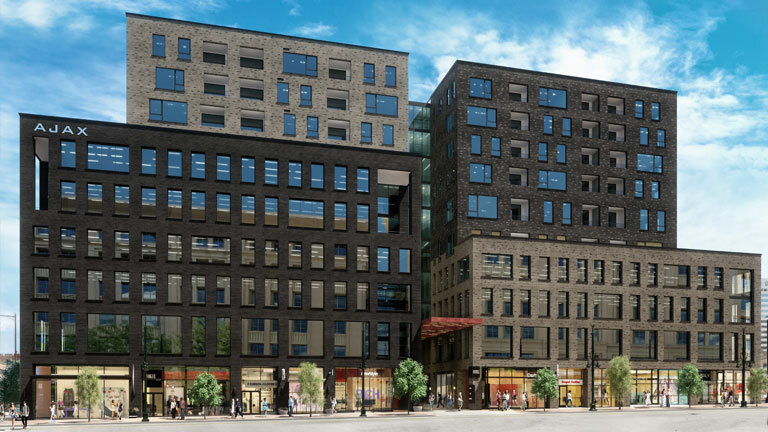 The 2-acre site features 85,000sf of retail, 90,000sf of office, and 225 market rate apartment homes. The existing RTD building remains on Blake Street and will continue to serve as their headquarters. Meanwhile, shops and restaurants, creative work and living spaces and endless opportunities are created. Everything has been considered to enhance the experience; from the full-service valet parking garage with a state-of the-art underground mechanical car stacker to the open paseos that turn the block outside in. Welcome to a city, reinvigorated. Welcome to Market Station. Visit marketstationdenver.com for more details. And check out this fly-thru 3-D rendering video for a glimpse at what the finished product will look like!